The duration of courses and the number of course elements have a major role to play in determining the eLearning costs of your project. While you can use short, simple and text-only courses to impart basic information, to impact more involved skills, you might need to embed several complex course elements spread over a fairly large period of time for improved understanding. The size and type of your course can impact the overall cost in a large way. You will need to consider the cost involved in bringing together content for your eLearning project and presenting it in a concise and relevant manner. Since today’s digital learners are always pressed for time, they have no time to go through elaborate course content. Hence always include only the essentials to keep your costs under control. Since eLearning courses cannot rely on a face-to-face instructor, your project cost depends on the desired level of instructional design. From basic programming to converting existing classroom training course materials into an eLearning format or creating new course objectives and content for result-oriented learning – the course design you choose will add to your project costs. Employing interactive elements such as videos, games and simulations will have a direct bearing on your project cost. Depending on your need, you can choose from basic interactive features to very complex ones that tap into learners’ thought processes and encourages them to explore new information, collaborate with others and make decisions. Do you know? A highly interactive course can cost almost two times as much as a basic eLearning course. The purchase and inclusion of dynamic UIs, creative design, and modern media elements will also add to your project costs. Although they make eLearning fun and engaging, they needn’t be included in every course. Understand the audience you are catering to and know what you need them to achieve through your eLearning course. How responsive your course is will also impact the overall pricing. Since responsiveness is a key element of eLearning courses today, you need to take into account the cost of the responsive design tool as well as the effort that goes in to ensure multi-platform friendliness and easy navigation. since integration can be done at a later stage, start by setting up the most basic integration option and combine complex systems later. As mobile usage surges, offering your eLearning course through mobile channels has become a requisite for providing a more engaging learning experience. Enabling mLearning, although necessary, is also costly. So, make sure to include only those aspects that you think are absolutely essential. The cost of technology-driven features such as personalization and analytics is also important to improve the adoption and effectiveness of your eLearning project will need to be considered. Choosing between an authoring tool or custom development will also decide the cost of your eLearning project. No matter how simple or complex your eLearning project is, you will need to bring together a team of professionals to create training materials and manage your eLearning project. Depending on your need, you will have to take in the costs of SMEs, instructional designers, project managers, researchers, content managers, video editors, proofreaders, graphic designers, software developers, animation experts etc. Your eLearning project cost will also depend on the time you take to develop it. Time taken will depend on a variety of factors such as information availability, audience understanding, SME availability, design experience, technical expertise, and review experience; hence clearly define your learning objectives and choose a reasonable time frame to ensure the project is completed within cost constraints and at the expected quality. There are two ways in which you can develop your eLearning project: you can either develop it in-house or offshore the project to an experienced partner. The price of eLearning will depend on the model you choose. In-house development is often more expensive, you will need to take into account operating costs including the purchase of advanced tools and the costs of training existing staff for development purposes. Outsourced partners can leverage economies of scale, shared resources, and established methods and processes to create efficiencies that help save costs. As modern trends and technologies transform the market, developing cutting-edge eLearning projects in a dynamic environment is extremely challenging. Since several factors impact the price of eLearning projects, it is important to understand and analyze each course and the audience for which it will be developed. With a good sense of the variables, you can not only achieve your eLearning objectives within the time and budget constraints but also achieve a high ROI. eLearning Costs should be determined based on your organization’s needs. When engaging, immersive, and informative learning is the objective or creating an environment of continuous learning and development is the foremost priority, cutting back on eLearning costs should not be looked at as an option. Various elements come together to decide the price of eLearning projects. 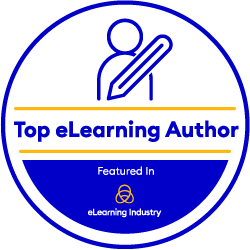 To know more about the low cost of eLearning or custom pricing for custom courses, do reach out to us at contactus@enyotalearning.com or Click here and one of our representatives will definitely help you understand eLearning Costs and its parameters. At eNyota Learning, we have over 11+ years of experience to back this up! Why is Compliance so Hard? And Why it Doesn’t Have to Be! Online Retail and Hospitality Training – Why mLearning May Not Work!